Wir senden Ihnen einmalig eine E-Mail an die Adresse , sobald das Produkt Büse Motorradverbandtasche Rot DIN 13167 verfügbar ist. 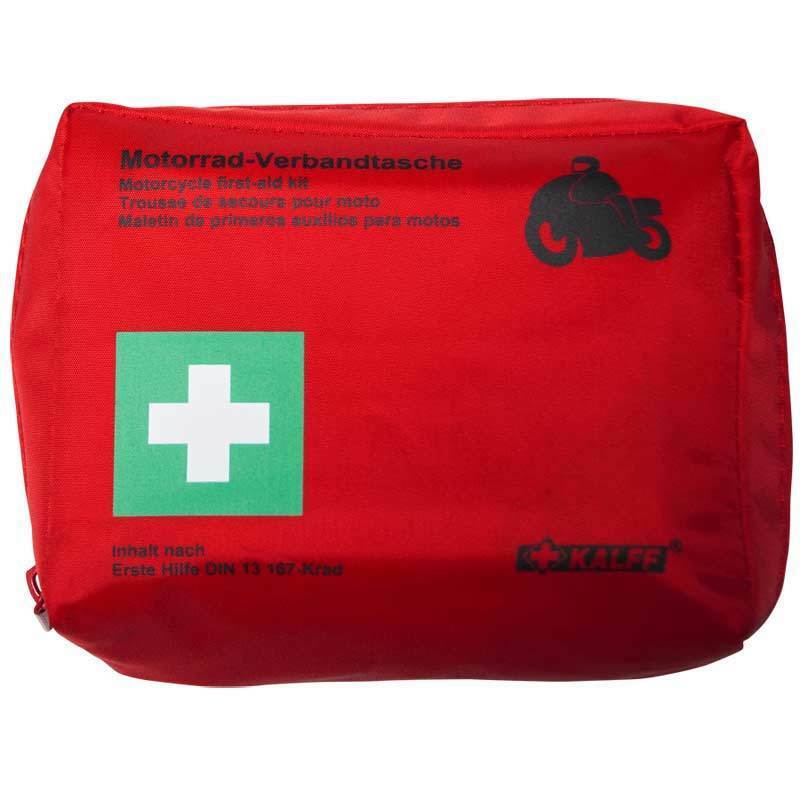 ( DIN 13167:2014 ), First aid kit with extreme small pack mass, just 14x11x6 cm, in accordance with DIN 13167:2014 regulations for the motorcycle industry. Perfect for free time and sports. Including rescue blanket!, duty in Italy, Austria, Portugal, Spain Switzerland and since 1.1.2015 in Germany. В России такими не пользуются. Взяли с другом по такой чтобы по Европе ехать без проблем, если вдруг полис остановит и спросит наличие. А так сумочка красивая, красная, внутри бинты, все упаковано хорошо. Compact size, good price and has all that is required. Important product for your bike! Must have! must have in your bike ! Aun no he tenido experiencia en cuanto al uso del mismo. It's a first aid kit, I hope I won't need it. But it looks complète. Every one should have one in his bag.